Making the decision to replace your old windows can be uneasy. There are so many things to think about before you say, “this is what I want.” One of the biggest choices you will make is “what kind of windows will to install.” Your decision can be very exciting! The type of window you choose can enhance the aesthetics of your home dramatically! Not only will the right window look great, it can also allow an ample amount of light in to enhance your décor. So, if you’re on the fence about window type be sure to take notes on the information below. Casement Windows- Casement windows use hinges to attach the window to its frame. They generally open towards the outside and use a lever or crank to do so. The lever is also used as a locking mechanism for the window. These windows are ideal for hard to reach areas because you don’t have to be close to them to open. 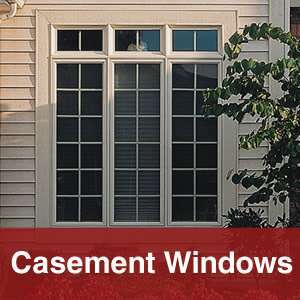 Bathrooms, kitchens, and basements would look great with casement windows. 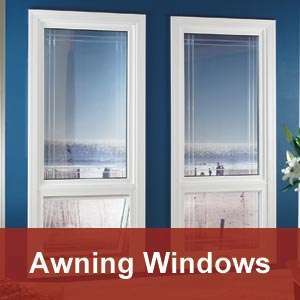 Awning Windows- These types of windows are great for ventilation and space saving! They have hinges attached to the window frame which allow them to open outwards. This also makes for easy cleaning! They are great for catching natural breezes and circulating air throughout your home. Double-Hung- One of the most common types of window not just because it is aesthetically pleasing but because it’s so functional. Double-hung windows have upper and lower sashes that can open either way. They have a great tilt-in feature which makes them easy to clean. They’re very durable and versatile! They come in a variety of finishes and can hold single pane or multi-pane glass. Single-Hung- These windows are similar to double-hung but only its lower sash can open up and down. These are the easiest types of windows to install and would be great for someone with time constraints. They are also durable and come in a variety of finishes. Now make sure the style of your window is consistent with the style of your home. Nothing can throw off curb appeal more than a window style that doesn’t fit! For example, casement windows can be found on a lot of older homes. If your house is an older style, a casement window might be more attractive on your house as opposed to a more modern home. As always, what’s just as important as choosing the style of window is choosing who is going to install the window. Here at Tennessee Thermal, we pride ourselves on being the best. We’re A+ rated with the BBB. We also stand behind our product. Our job isn’t done until you’re happy! So contact us today at 615-266-4474 for your free in-home consultation or to learn more about our home improvement services!